"The freshest racial allegory since Ralph Ellison's Invisible Man and Toni Morrison's The Bluest Eye." 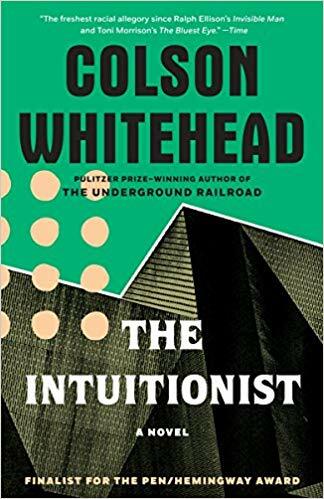 "Ingenious and starkly original...Literary reputations may not always rise and fall as predictably as elevators, bit if there's any justice in the world of fiction, Colson Whitehead's should be heaing toward the upper floors." "The most engaging literary sleuthing you'll read this year. . . . What makes the novel so extraordinary is the ways in which Whitehead plays with notions of race." "Whitehead's prose is graceful and often lyrical, and his elevator underworld is a complex, lovingly realized creation." "The Intuitionist is the story of a love affair with the steel and stone, machinery and architecture of the city. It's not a pretty love, but a working-class passion for the stench of humanity that its heroine, Lila Mae Watson, has made her own. But as always with love there is betrayal. This extraordinary novel is the first voice in a powerful chorus to come."